The Elipsos Trenhotel are luxury night trains between France, Spain, Swizterland and Italy. There are 4 train lines. Depart is from Gare Austerlitz in Paris. Full fare Tourist Class is €183 p.p. Full fare superreclining seat is €154. Cheap fare (non-refundable) is €89. 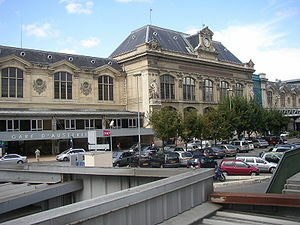 Day trains from Paris to Barcelona are departing not from Gare Austerlitz but from Gare de Lyon. Passengers are then traveling in TGV-Corail trains. Fares are between €82-€162.